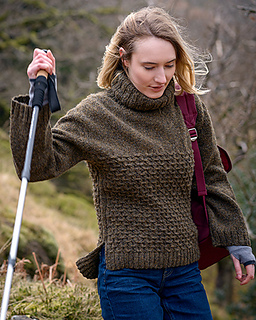 Buy 3 patterns from The Borrowdale Collection, get 1 free.- No code necessary, simply add 4 Borrowdale patterns to your cart to receive the least expensive for free. 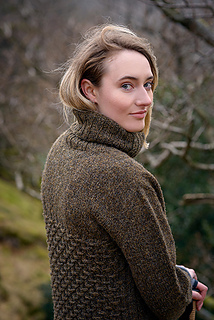 Blea Rock is a slouchy pullover that is both fun to knit and easy to wear. 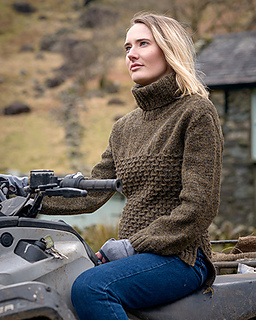 Knitted in Lore, the rhythmic smocking stitch and relaxing stocking stitch allow the rustic, lofty nature of the yarn to shine. This classic sweater is worked in pieces from the bottom up and seamed for strength and stability. The sweater is intended to be worn with minimal positive ease. Spare 4mm (US 6) needle for 3-needle bind-off. 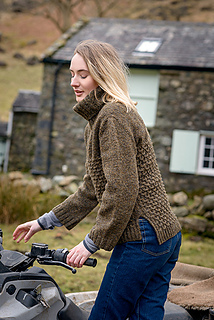 Borrowdale: Take a trip to the Borrowdale Valley, one of the most idyllic places in England and the backdrop for our stunning new collection. 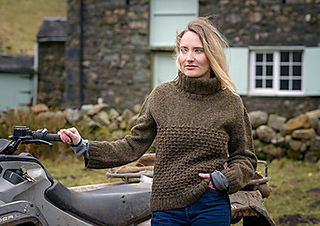 Showcasing the work of 16 exceptionally talented designers, each piece in Borrowdale is designed using our glorious new yarn for Autumn 2018, Lore. 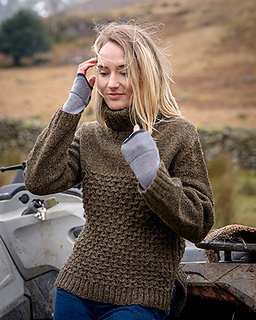 These garments and accessories are designed for everyday adventures; to be thrown on with your favourite pair of jeans and hiking boots, or wrapped up in as you snuggle on the sofa. 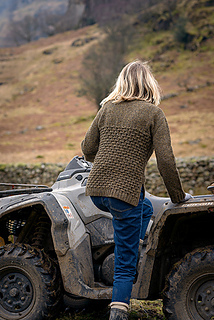 We hope you’ll be inspired to cast on something lovely and remember this special place in the Lake District.